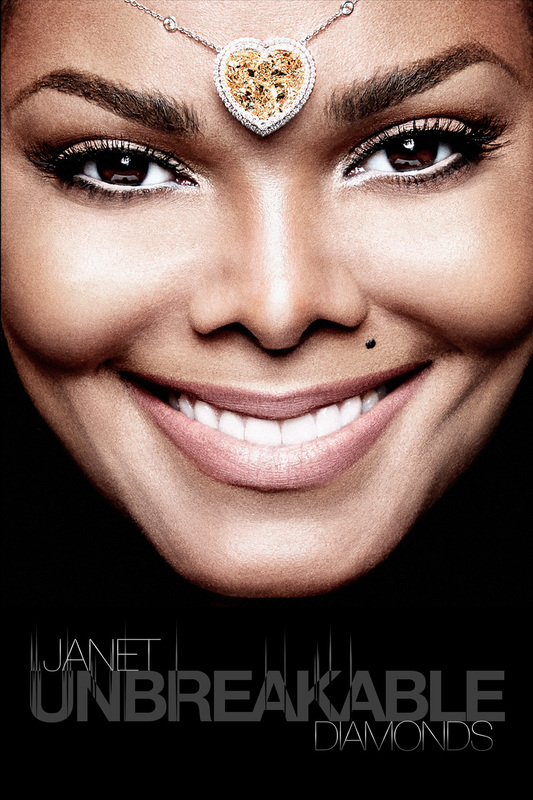 Click the banner below to go to www.JanetJackson.com/contest and enter to win two front row seats. We will contact the lucky winner for each show approximately 5 – 7 days before the event so stay tuned to your email for updates. NOTE: You will need to be in the area and able to attend if you are selected, tickets do not include travel or any other perks. Tickets are non-transferrable. 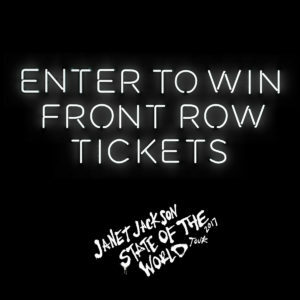 Contest is limited to U.S. residents 18 years of age and older. Event exclusions: Reno 10/1, Air Canada Centre 11/2, and Bethlehem 11/11. 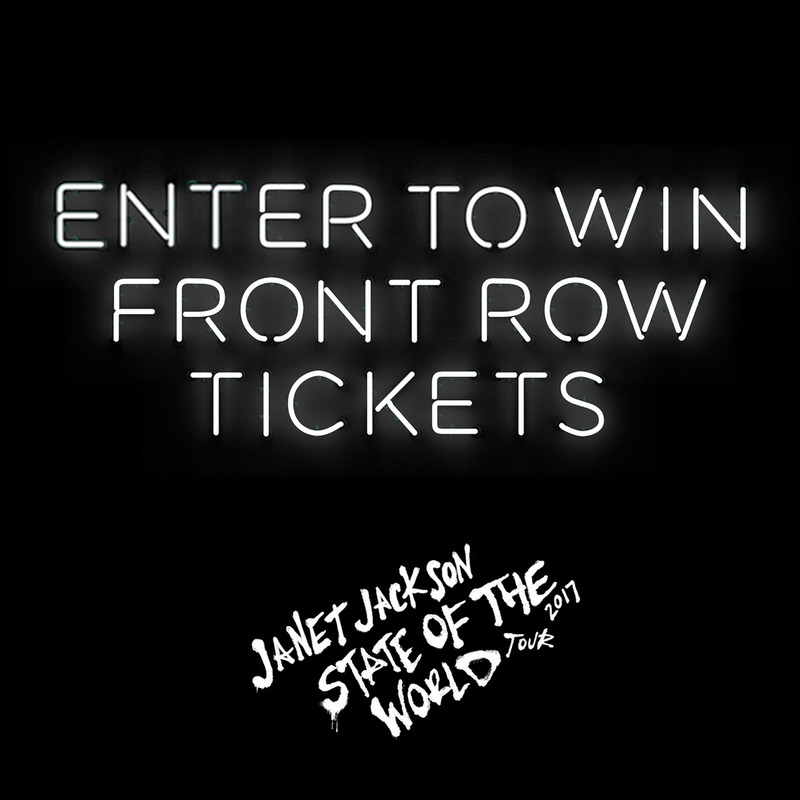 See full terms & conditions on the contest page.